Hundreds of thousands of people have been taking part in protests against an emergency decree approved on 31 January, which critics say would have protected the corrupt from prosecution. Prime Minister Sorin Grindeanu scrapped the measure on Sunday (5 February), but the marches have continued, with some demonstrators vowing they would not stop until the government stepped down. 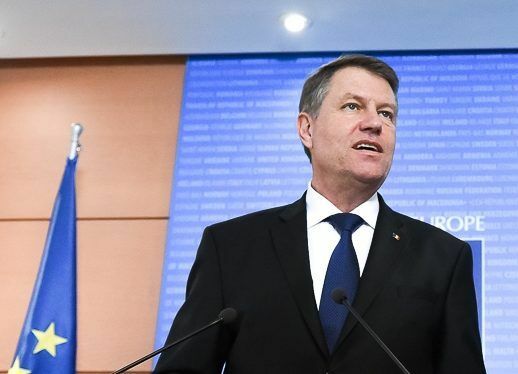 “The repeal of the decree and the possible sacking of a minister is too little,” Iohannis told lawmakers in Bucharest. 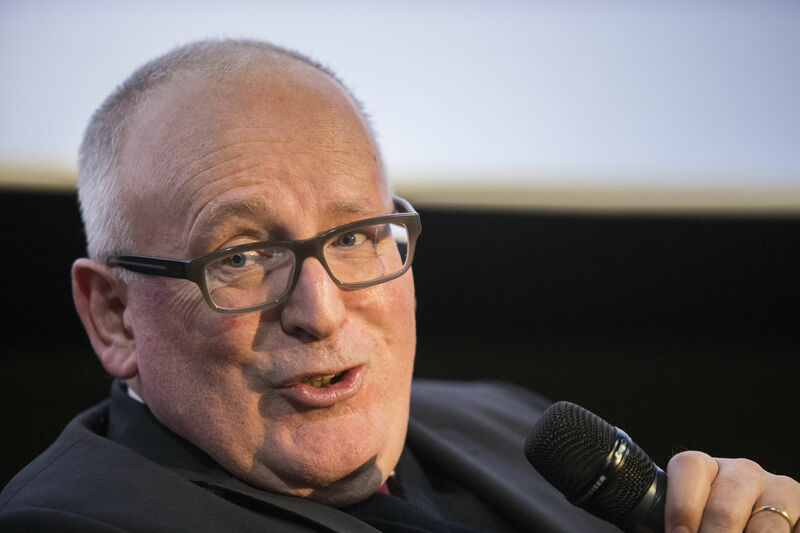 However “early elections at this stage are too much”, he added, with the Social Democrat party (PSD) winning a resounding election victory only in December. 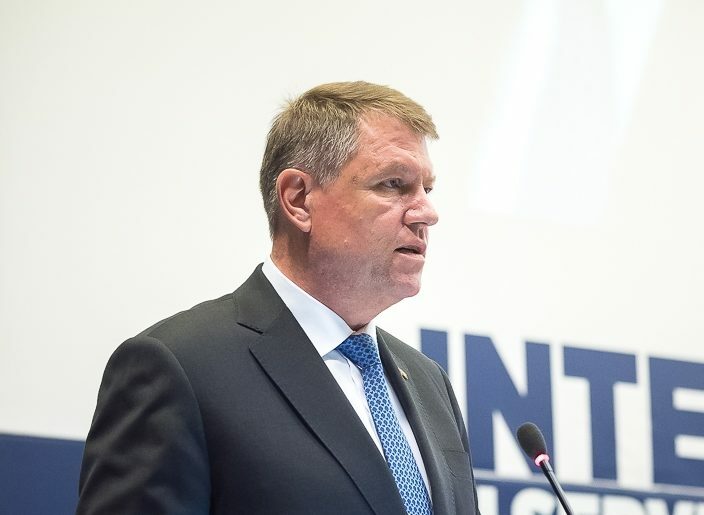 Instead, Iohannis said, the onus was now on the Social Democrats to find a solution. “If the PSD, which has created this crisis, fails to resolve the crisis immediately, I will summon all the political parties for talks,” the president warned. PSD lawmakers angrily shouted at Iohannis during his speech before leaving the room. Half a million people took to the streets across the country on Sunday, in the biggest demonstrations since the fall of communism in 1989. The crowds have become noticeably smaller, but bigger protests are expected over the weekend. On Tuesday night, around 3,000 anti-government protestors rallied outside parliament, chanting, “Day after day, we will be here” and unfurling a long banner demanding “clean and competent government”. 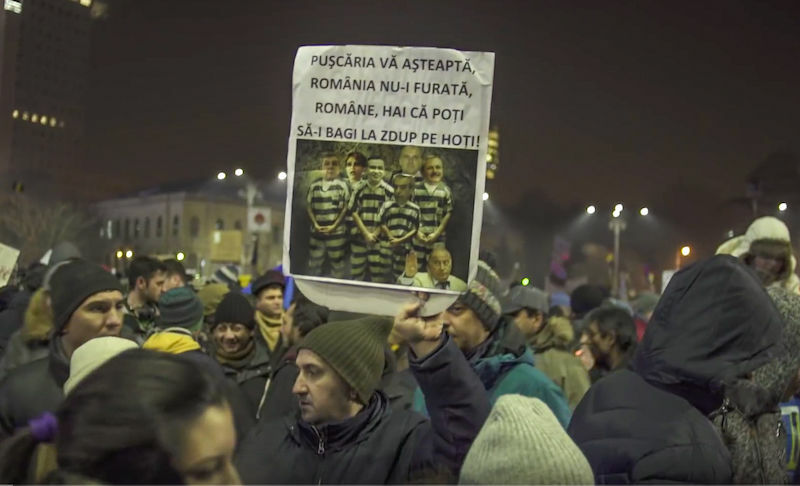 Around 2,000 supporters of the government gathered outside the presidential palace, calling Iohannis a “traitor” who had divided the country by fomenting demonstrations. The government has so far remained defiant. Grindeanu on Monday (6 February) called for calm, stressing that the PSD has “a responsibility to the people who voted for us” and would stay. Grindeanu has argued the measures were meant to bring penal law into line with the constitution in the European Union member state and reduce overcrowding in prisons. But critics see the moves as a brazen attempt to let off the many lawmakers who have been ensnared in a major anti-corruption drive in recent years, as Romania seeks to shed its reputation as one of the bloc’s most graft-riddled countries.